A hotel is only as good as the service they provide their customers. Some hotel pride themselves on their hospitality, while others don’t care how you feel as long as they keep getting new customers. 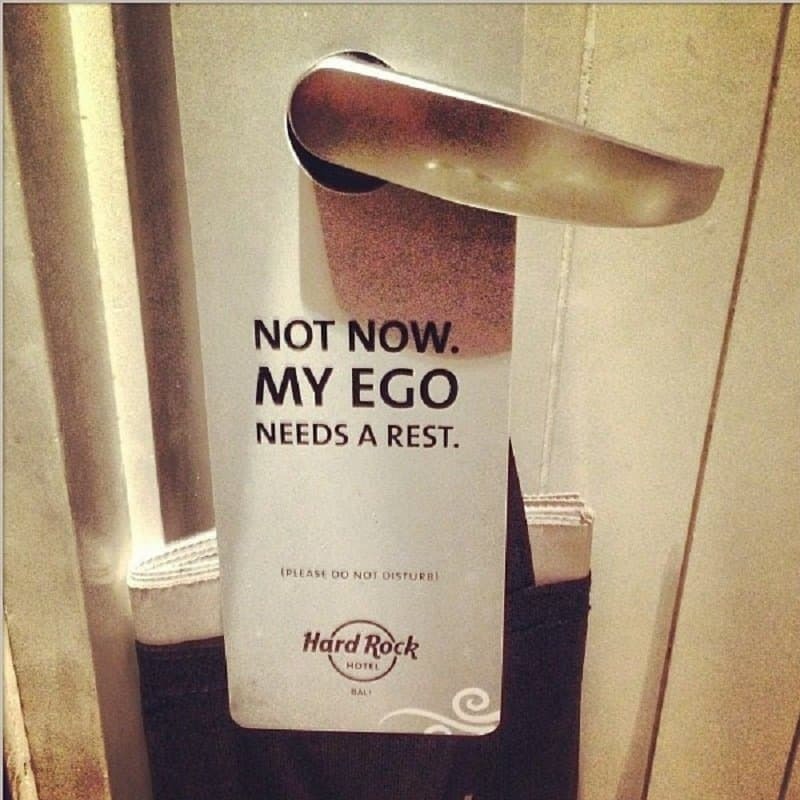 This attitude can be seen in nearly every facet of any hotel, from their room service, right down to the ‘do not disturb’ sign. 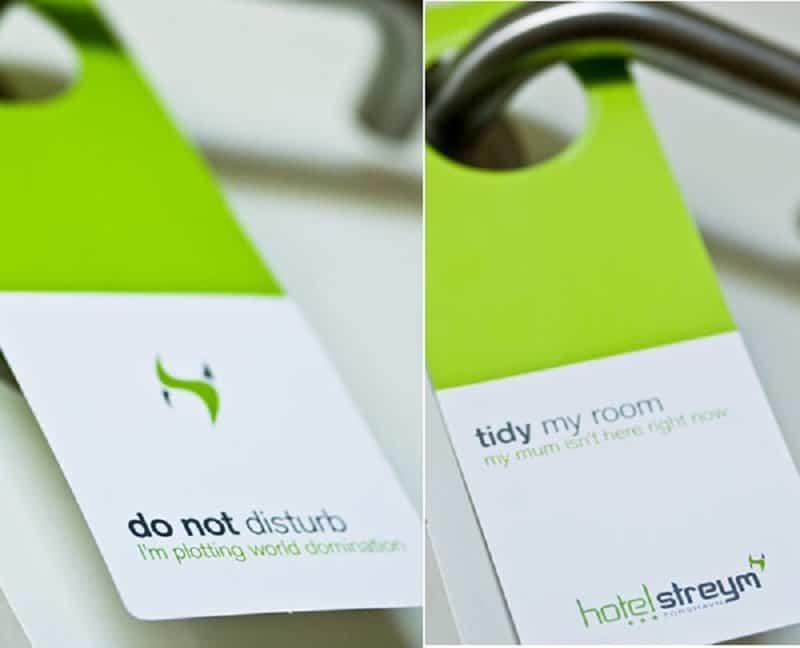 There can be nothing more annoying than being interrupted by the management or employees of a hotel when you have your ‘do not disturb’ sign on. 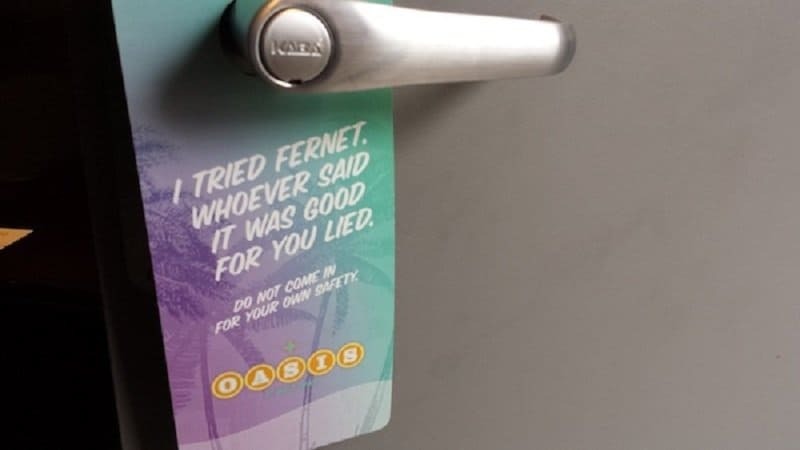 This is why certain hotels ensure that your privacy is well taken care of, and even make the extra effort of creating some special signs for your door. 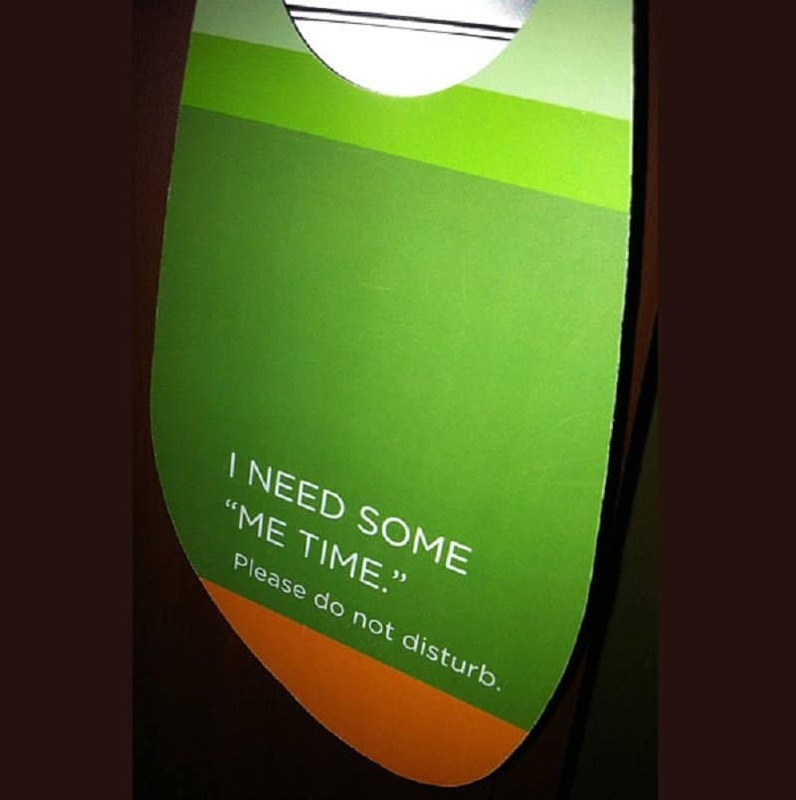 Here is a list of 10 of the best ‘do not disturb’ signs around. 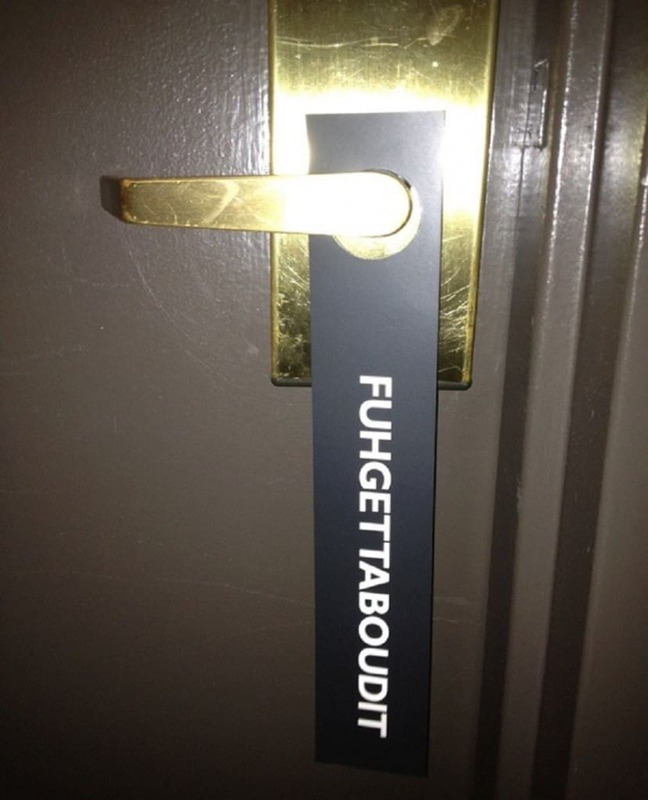 If you could pick only one word to ensure that the cleaning service shouldn’t bother you in your room, you would probably go with ‘Fuhgettaboudit’. There are many reasons you wouldn’t want to be disturbed in your hotel room. 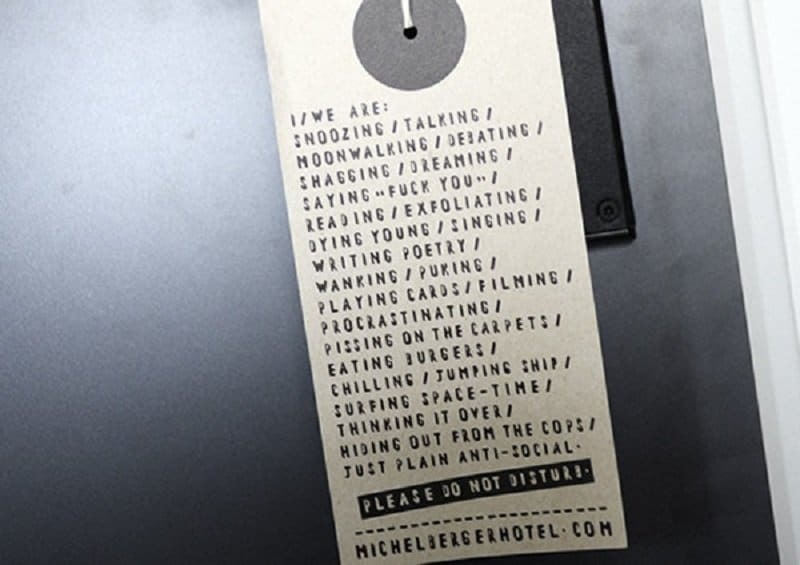 The Michelberg hotel took the time out to list just some of the reasons and leave them on your door knob. Sometimes the cleaning staff is in danger of walking into a room and seeing something they don’t want to see. This hotel listed out just one of the reasons why you should never barge into a hotel room. 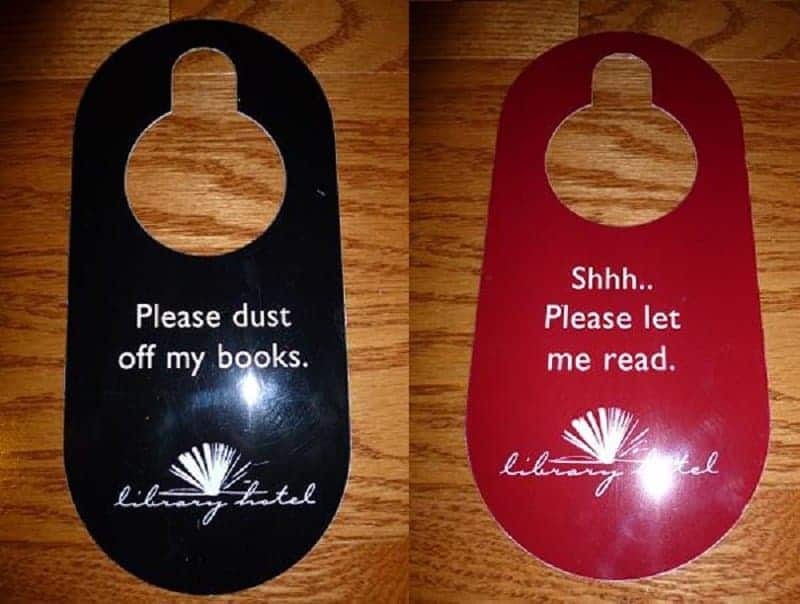 This literary-themed hotel decided to make even the ‘do not disturb’ sign fit their theme. Quite an elegant idea for a sign, isn’t it? When you are an evil scientist, there can be nothing more irritating than someone disturbing you when you are in the middle of creating the perfect evil plan. This hotel clearly cares about all their customers, even the evil ones. Walking into a room when someone is naked can be embarrassing for both parties. This sign managed to fix that problem quite easily. Your body and mind need rest from time to time, but when your ego is resting, it is best not to be disturbed during that time. We all love some ‘me’ time don’t we? You are probably in a hotel room because you are trying to get away from your wife and kids. It is best to leave a tired soul alone. 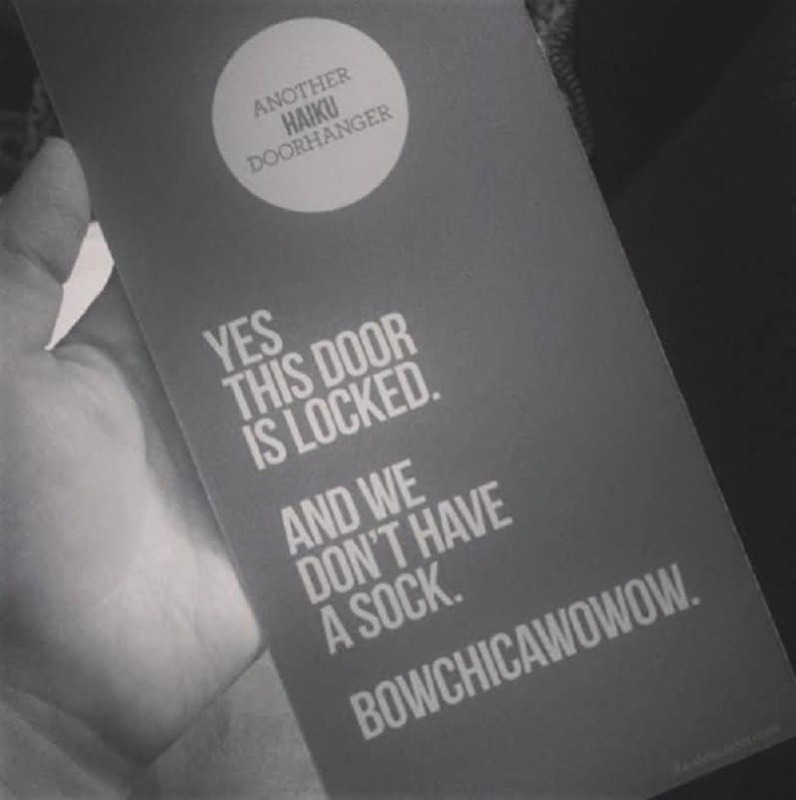 Who needs a sock on the door when this sign can explain things in a clearer and funnier manner! 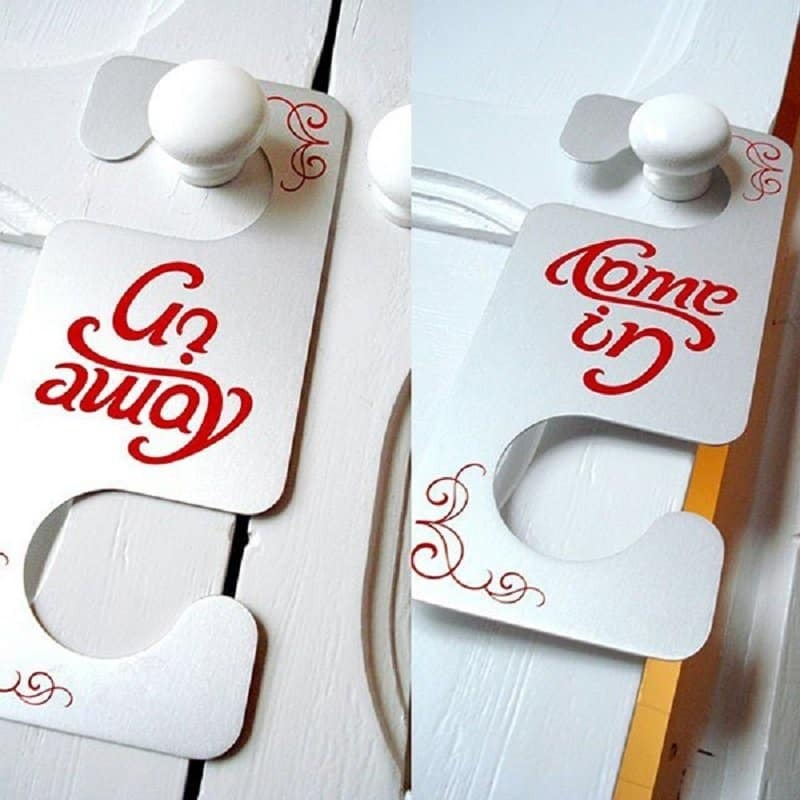 This classy ‘do not disturb’ sign works as an ambigram. Quite a remarkable touch just so that people don’t disturb you in your own hotel room!